One of the most coveted items of 2017 was, oddly enough, Szechuan sauce. 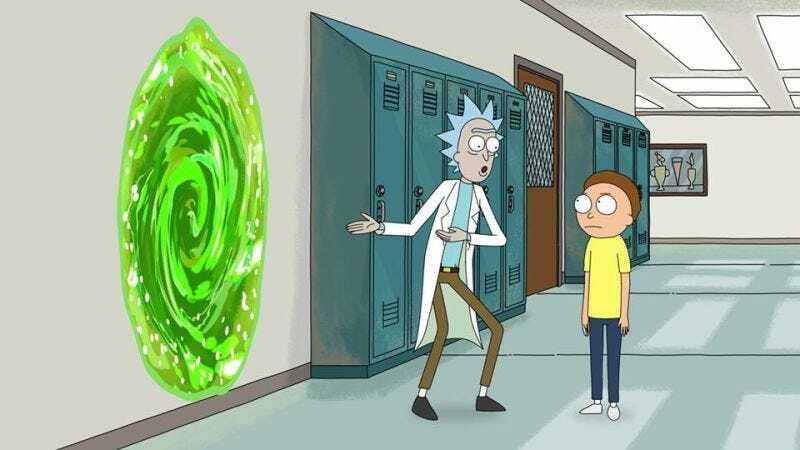 Rick Sanchez was prepared to rip apart the fabric of time for some, and Rick And Morty fans were ready to hand over their life savings for a single packet after McDonald’s got swept up in the sudden fervor around the condiment. The fast food giant brought back the dipping sauce for a single day in October, but in quantities fans deemed so meager that they raged at the poor employees at various franchises. McDonald’s says it’s learned from this error, though, and has announced that it will stock locations nationwide with some 20 million packets of the spicy sauce later this month. Now, there are more than 14,000 McDonald’s in this country, which means they’ll have hundreds available per store. You could get your hands on some Szechuan sauce as early as Monday, February 26. And if you want to know more about the tie-in debacle, McDonald’s has partnered with OnionLabs and Studio@Gizmodo for a podcast called The Sauce. Hosted by Catherine LeClair, this lighthearted investigative series will dip into production on the millions of packets that are making their way around the country, as well as how Deadmau5 was able to acquire a half gallon of it, despite not being Justin Roiland. “Whether you’re a customer that never got to try it, or just a general podcast fan who’s intrigued by the unique glimpse behind the curtain, we think you’ll find The Sauce to be the most fascinating podcast about a condiment ever made,” Harding says. I talked with fans who were so obsessed with a sauce they had never tasted that they drove across an international border to get it. And I also got to speak with corporate executives and Chef Mike at McDonald’s who hold themselves responsible for what went wrong. It’s rare that a company as big as McDonald’s will pull back the curtain and give you the honest story behind their missteps, and McDonald’s was willing to do that. All three episodes of The Sauce are up now, but you’ll have to wait until at least February 26 for Szechuan sauce.